SuperFogeys - 217 – Jerry’s Family? I’M AT THE SAN DIEGO COMIC-CON THIS WEEKEND! Through an odd series of circumstances that I won’t bore you with, last Thursday I was given two exhibitor passes to the sold-out San Diego International Comic Convention. I’ve gone to the con twice as a fan, but never as a pro. I could not be more excited. There is no bigger Con than the one in San Diego. It’s INSANE. I’ll be at the Shocker Toys booth, #3849, Friday and Saturday only. I’ll have SuperFogeys books for sale (including the recently released Collection #4), along with other Th3rd World offerings. I’ll even have a limited number of copies of the critically acclaimed Stuff of Legend for sale. You’re not gonna find that one in stores until next week, so get there quick if you want one. I’ll also be doing free sketches, signing books, etc. If you’re gonna be there, please stop by to at least say hi! I’d love to meet you. 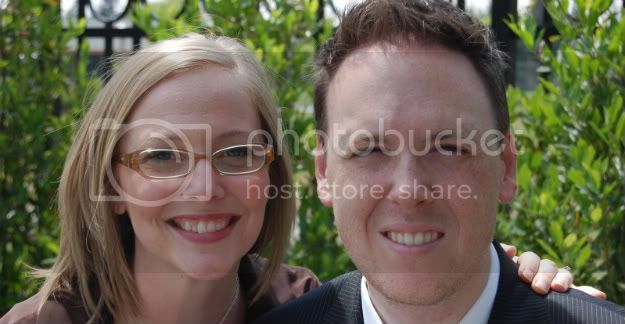 I’ll be accompanied by wife Erin, so just look for the prettiest girl at the Con and then over at the schlub next to her and that’ll be me. DAVID REDDICK CAN’T STOP DRAWING THE SUPERFOGEYS! 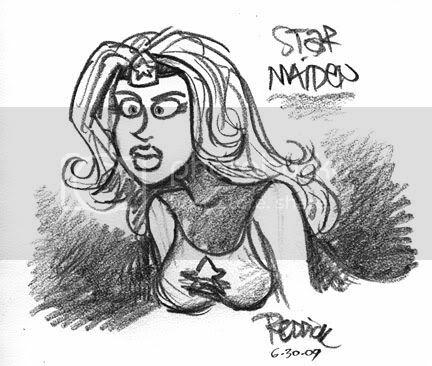 Making the wait for his turn on SuperFogeys Origins just that much harder, David Reddick is back once again today with a sweet young Star Maiden sketch. I’m impressed with how easily David captures these characters. Hey David, what do you say about tackling the older versions? You up for it? I presume I’ll be returning with my Comic Con report and pictures. On Tuesday, Tangerine’s Origin with art by Eldon Cowgur begins! Then, on Thursday, we get to know Jerry’s family a little bit better. See you then!